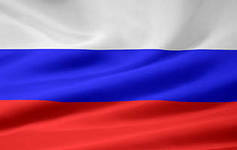 Russian Youth Championship (64) in age groups B23, B19, B16 in boys and G23, G19, G16 in girls ended. Competitions was held from March 3rd to March 10th in Leningrad region. Competitions was held in three programs: Blitz, Rapid and Classic. 135 players took part in competitions. Plaudin Vladimir (B24), Rysaev Damir (B19), Melnikov Dmitry (B16), Sarshaeva Zhanna (G24), Azarova Nyurguyana (G19), Denisova Valeria (G16) became champions in classic program. See results and photo from closing ceremony. Team of Nizny Novgorod won in team classification. Rapid was held on March 4. Team of Kaluga region won in team classification. Blitz was held on March 3.